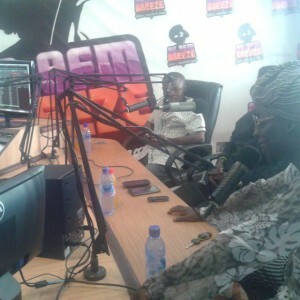 The Maestro Kojo Antwi aka Mr Music Man has advised Ghanaian musicians to use their God given talent as a tool for development. The Maestro was speaking during an interview on Breeze FM’s entertainment show dubbed Showbiz Today hosted by Ekow Puncho. According to the Maestro, Ghanaian artistes have a fine opportunity in contributing to national development by commenting on issues of national relevance. Citing the ongoing discussions about the ebola disease, he noted that artistes can write songs that highlight the dangers of the disease as well as how to battle it. He noted that artistes can contribute variously to many social issues apart from the love and relationship songs generally heard on air. This year’s LAL Ball is scheduled for November 1 at the Accra International Conference Center and is expected to feature an exciting bill of musicians, socialites and public figures serenading the Maestro with their renditions of his hit tunes. Names that are being bandied about as likely to feature on the night include Samini, Wutah Afriyie, Obrafuor, Efya, Gifty Anti and Shatta Wale. Mr Music Man was launched as the Legend of 2014 at a colorful ceremony on Thursday October 2 at the Oak Plaza Hotel off the Spintex Road attended by a cross section of the music industry.